The outdoor kitchen is a wonderful addition to any house. At GrillMen.com we strive to enrich the outdoor living lifestyle. We think that the outdoor living lifestyle involves cooking and grilling outdoors! What a better way to do this than in a outdoor kitchen! 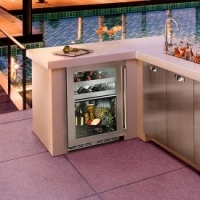 We sell all the necessary features of an outdoor kitchen. 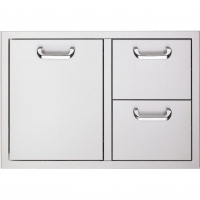 Stainlesss Steel Doors & Drawers, Grills, Side Burners, Refrigerators, sinks, and more awesome accessories like cocktail stations. Take a look at your outdoor kitchen categories and shop for your outdoor kitchen at GrillMen.com.